We have over 50 new signs at AVAC® and I wonder how many people have spotted them. Have you noticed them? Some are simple and just state who is in which office, others are a little more important. 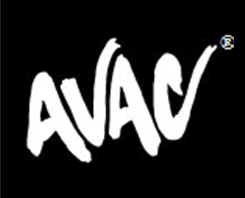 We have two major areas of AVAC® that have a list of guidelines for your safety; the gym floor and the pool area. It’s important that all members read and understand them. By following our safety guidelines we can collectively safeguard all members of our AVAC® family. You will find the fit floor safety guidelines next to the fitness desk and the pool safety guidelines posted by the junior locker rooms on the wall. Please take a few minutes to read them, if you have any questions or concerns you can also visit the front desk and speak to a member services specialist. 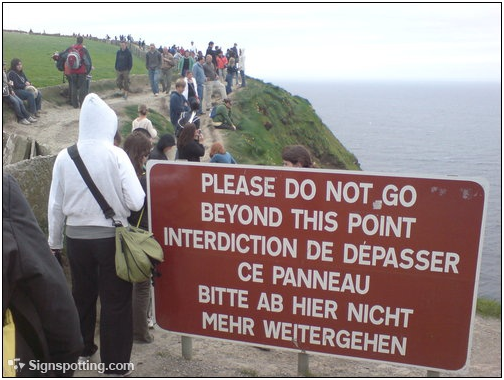 I think signs work sometimes but I’m not overly convinced. I’m all for the second part of the above quote. AVAC® is trying something different the week beginning July 6th. We can’t make members/guests of AVAC® read our signs but we can try and motivate people to alter the amount of risks they take. This week, through Sunday, you will see staff members in the parking lot actively managing traffic flow and speed rather than relying solely on the 5mph safety board. We hope to raise everyone’s awareness of car park safety so that both AVAC® members and the members of the Open Bible Youth Group can continue to safely share the parking lot. Take a moment to see how many new signs you can spot!